Sherring, Susan. "Jim Watson". The Canadian Encyclopedia, 14 November 2017, Historica Canada. https://www.thecanadianencyclopedia.ca/en/article/jim-watson. Accessed 19 April 2019. 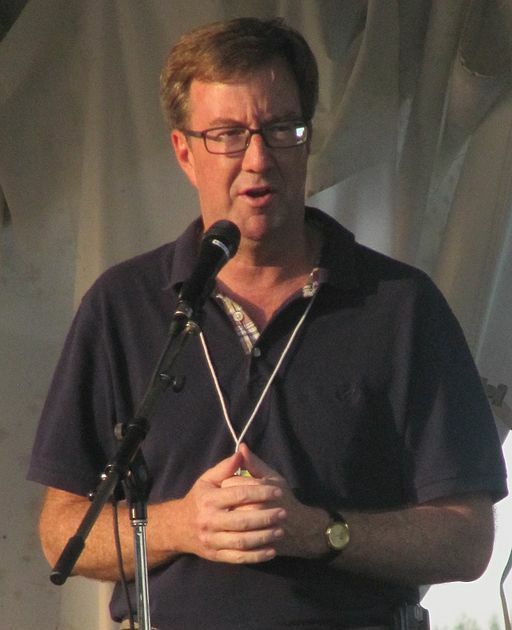 Jim Watson, broadcaster, politician, mayor of Ottawa 1997–2000 and 2010–present (born 30 July 1961 in Montréal, QC). Watson has been in and out of politics since first being elected as an Ottawa city councillor in 1991. He has also served as a member of the Ontario provincial parliament (MPP) and a minister in the Liberal provincial Cabinet. He is currently serving his third term as mayor of Ottawa. Jim Watson was born in Montréal to father Bev and mother Frances Watson. He was raised in Lachute, Québec with his parents and older sister Jayne, where they lived until 1976. Although he is a natural politician, politics wasn't part of Watson's early plans. "At one point I was going to be a religious minister," he says. "As a kid, my father was the superintendent for [our Presbyterian] Sunday school. I went to Sunday school, and was inspired by our minister." That career choice died, he laughs, because "I really didn't enjoy getting up Sunday mornings." As a young boy in Lachute, Watson hoped to become a newspaper reporter. He started his own newspaper and even bought himself a small printing press. Later, as a teenager living in Toronto, he contacted a local television cable station about the idea of hosting a youth show. "The next week they contacted me and said, 'Sure.' I guess the bar was not set very high! And instead of just asking you know, the librarian or the chief of police on the show, I was getting celebrities – I had Al Waxman, Mr. Dressup, Arnold Palmer," Watson says. In 1980, he moved to Ottawa to take his Bachelor of Arts in Mass Communications degree, graduating from Carleton University in 1983 with an eye to becoming a newspaper reporter. After hundreds of rejection letters, Watson instead began working as an information officer with the federal department of Supply and Services. He eventually served in the offices of the Speaker of the House of Commons, and federal Sports Minister Otto Jelinek. In 1991, Watson was elected as an Ottawa city councillor in Capital ward, after campaigning against what he saw as council's flip-flops, tax increases and cuts to city services. He quickly established himself as a fiscal conservative, becoming a thorn in the side of then mayor Jacquelin Holzman over several expenditures he wouldn't support. The newbie councillor made a significant mark in his first term by teaming up with fellow councillor Peter Hume to restore and save the Cattle Castle, a heritage building at Lansdowne Park. Today, the Cattle Castle is considered one of the gems of the revamped Lansdowne Park fair and sports grounds, housing community events throughout the year. Watson also garnered attention for his opposition to allowing the rock bands Guns N' Roses and Metallica to play a concert at Lansdowne. Just 30 years-old at the time, he was described as a "veteran old fogie" for resisting any easing of the city's noise bylaw past 11 pm, which concert organizers had requested. The public's push-back against the bylaw won the day, however, and the bands were allowed to play – although the concert was subsequently cancelled for unrelated reasons. In 1994, Watson easily won his second term on council. Three years later, with a reputation as someone who could get things done, Watson became the city's youngest mayor at the age of 36. He was elected with 82 per cent of the popular vote. He won the race with an unusual promise – vowing to end the need for his job, and thereby solidifying his role as a key player in the effort to amalgamate Ottawa with surrounding municipalities. 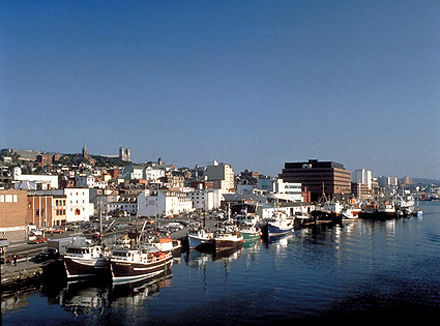 However, in the lead-up to the 2000 municipal election for the new amalgamated city, Watson unexpectedly left the mayor's office early, having decided not to run for re-election. While Watson said he needed a change, many believed he was influenced by polls showing his opponent Bob Chiarelli headed toward victory. Watson was soon appointed president and chief executive officer of the Canadian Tourism Commission, a federal crown corporation. He quickly left that job for a position as co-anchor of local television station the NewRO. He also started a weekly column at theOttawa Citizen newspaper. But politics was calling once again, and Watson gave up the media gigs – prompting allegations that he couldn't keep a commitment. Given his fiscal conservatism, many observers considered Watson a natural fit with the Tory party. Instead, he jumped into provincial politics under the Liberal banner. In 2003, he was elected to the Ontario legislature for Ottawa West-Nepean and was immediately appointed to the Liberal Cabinet as Minister of Consumer and Business Services. Two years later, he became Ontario's first Minister of Health Promotion, and he successfully implemented the Smoke Free Ontario Act. Re-elected as MPP in 2007, he was promoted to Minister of Municipal Affairs and Housing, and the following year signed a significant federal-provincial housing agreement. Once again, Watson didn't finish out his term, quitting provincial politics to attempt a return to his first love – being mayor of Ottawa. Politician Jim Watson, speaking during his term as an Ontario MPP. In 2010, Watson took on incumbent Mayor Larry O'Brien, who'd had a rough four years in office. As expected, Watson won, maintaining his record of never having lost an election. He restored order to what had been a chaotic mayor's office under O'Brien. When Watson ran for re-election in 2014, he faced little opposition, winning with 76 per cent of the vote, up from the 49 per cent he received in 2010. 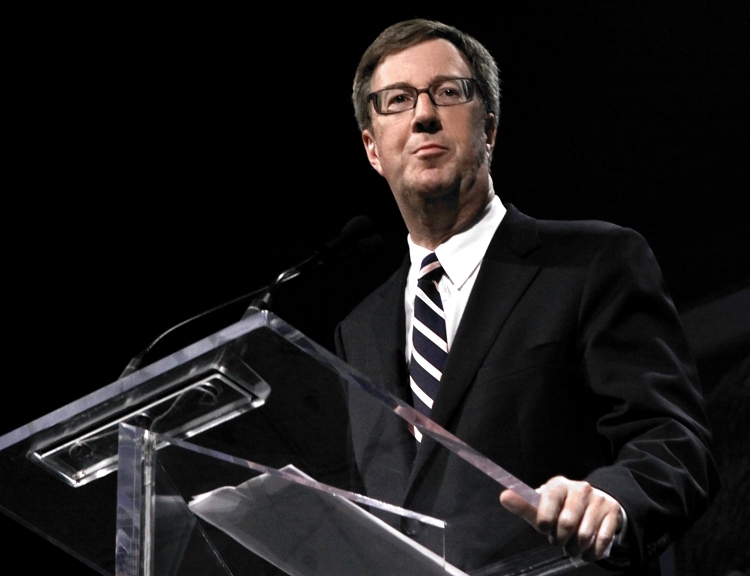 Since 2010 Watson's mayoralty has been dominated by the continuing development of light rail transit (LRT) into Ottawa, the redevelopment of Lansdowne Park, and by his pledge to keep tax increases within the rate of inflation. Known as a mayor who attends every bake sale and envelope opening in the city, Watson spends most of his free time attending community and charity events. He's also a keen user of social media. "I'm probably not the most exciting or vibrant person, and that's reflective in my personality," he once said. "The mayor doesn't have to be a cheerleader or the most vibrant in the room . . . There's a difference between vibrancy and accessibility. The mayor has to leave the cocoon of City Hall and be accessible to voters. I don't like these leap year politicians who show up every year. I've always canvassed between elections, it catches [voters] off guard. I hope to chip away at their cynicism." 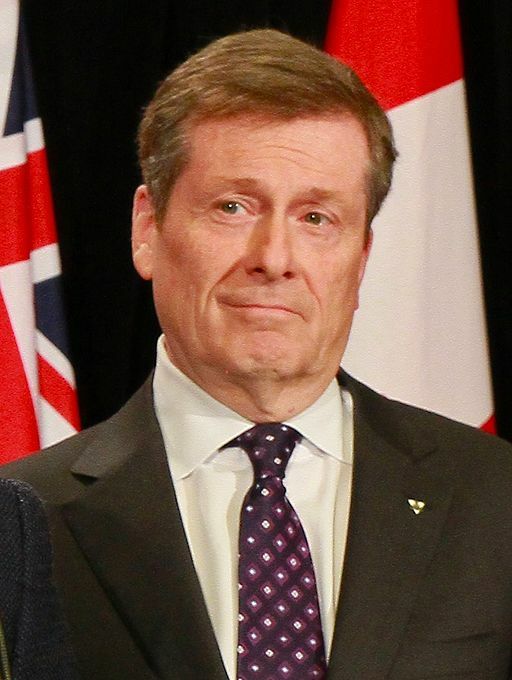 An affable man, Watson also has a reputation as a controlling mayor, with a keen desire to keep members of his council in line with his agenda, sometimes by limiting public debate on issues.He has also been unafraid to spar publicly – including on Twitter – with those he dislikes, including John Baird, the former federal Conservative Cabinet minister who was responsible for the Ottawa region in Prime Minister Stephen Harper's government, and did not see eye-to-eye with Watson on city matters. One of Watson's biggest failures as mayor was his inability to secure a new downtown casino – rather than an expanded facility at the Rideau -Carleton Raceway. 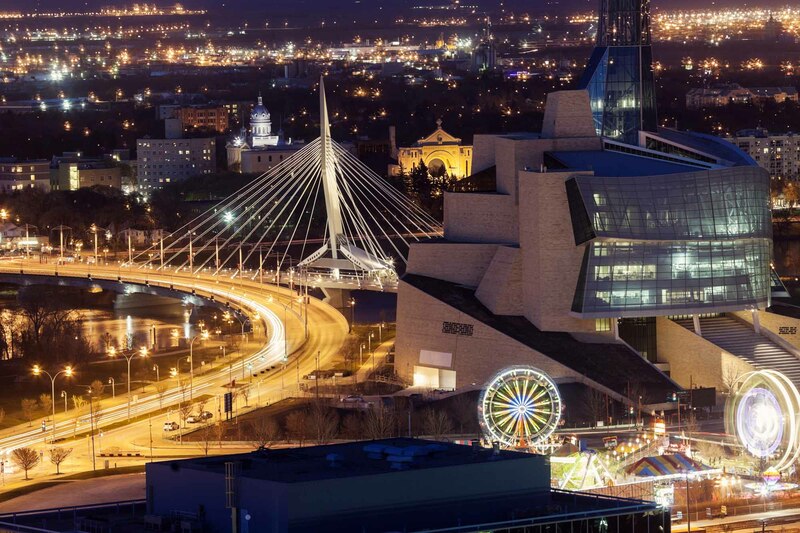 When it became clear that he lacked public support for the downtown location, and that he would lose a vote on issue at city council, he backed down and became a supporter of the raceway expansion. In 2012 he also tried to redraw Ottawa's ward boundaries and cut the size of city council, but couldn't muster enough council support. Much of Watson's recent agenda has been focused on plans to celebrate the country's 150th anniversary – a mini-industry in Ottawa. He, along with other government leaders, has been working to bring the rest of the world to the nation's capital for the celebrations in 2017. City of OttawaBrowse the official website of the City of Ottawa. Ottawa CitizenA lengthy profile of Jim Watson by the Ottawa Citizen newspaper in 2012. Carleton UniversityA profile of Carleton alumni Jim Watson, on the university's Faculty of Public Affairs website.